The good news is, this isn’t the case for all balsamic vinegars. Balsamic vinegar just has more sugar in it than white vinegars. I bet you are thinking “Oooooh! THAT’s why I like it so much better”. Yep, that’s probably right! 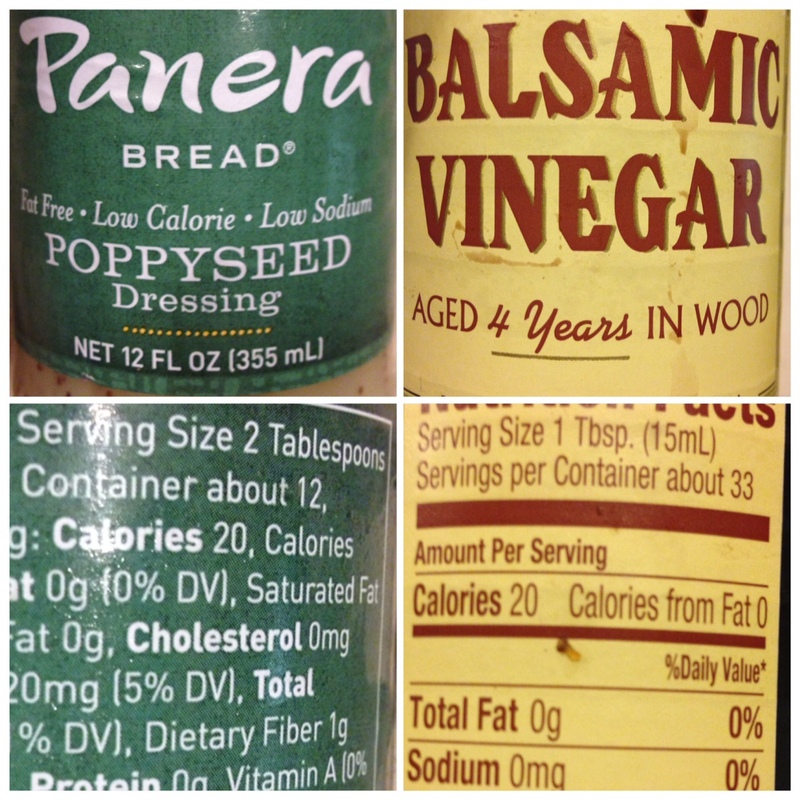 Last night I was checking out labels of some of the salad dressings I had in they fridge, and low and behold, this yummy poppy seed dressing had HALF the calories of plain balsamic vinegar!! See! You NEVER know unless you take the time to study labels. 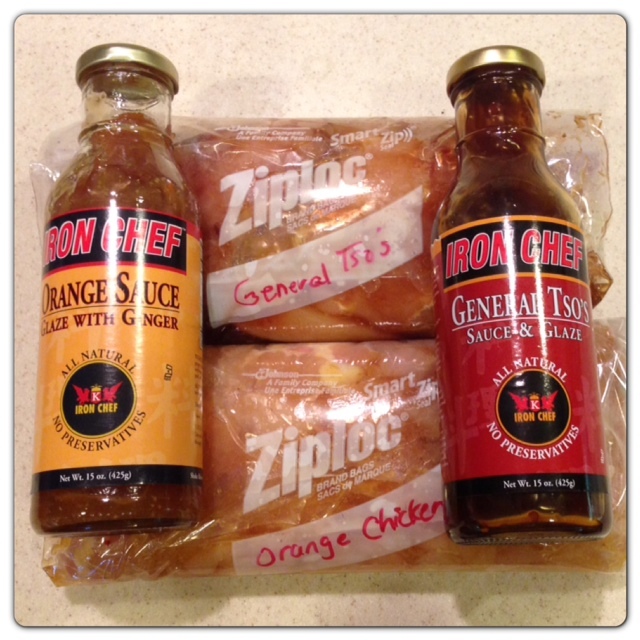 I did a little homework on various vinegar for you. Here’s what I found. 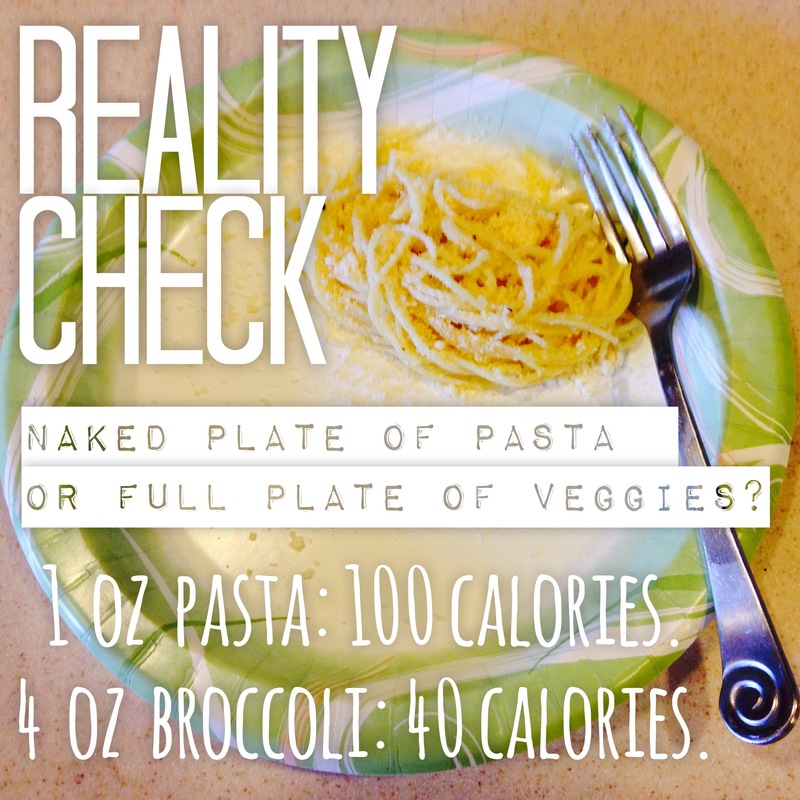 You can have 1 oz of pasta and have a big empty plate OR you can have 2-3 times the amount of veggies for the same amount of calories. Check it out! The less high-carb foods you eat, the MORE you can eat. Avoid large amounts of pasta, potato, rice, beans & bread. Increase green veggies to increase portions without INCREASING your waistline! What typically goes in soup? Well, let’s think… Potatoes, Carrots, Corn, Peas, Lima Beans, any kind of bean, rice, pasta…basically all high carb vegetables. What do you not see in soup that often? Low-carb veggies like Brocoli, Cauliflower, Spinach and Cabbage. Why not? Did someone make a rule? 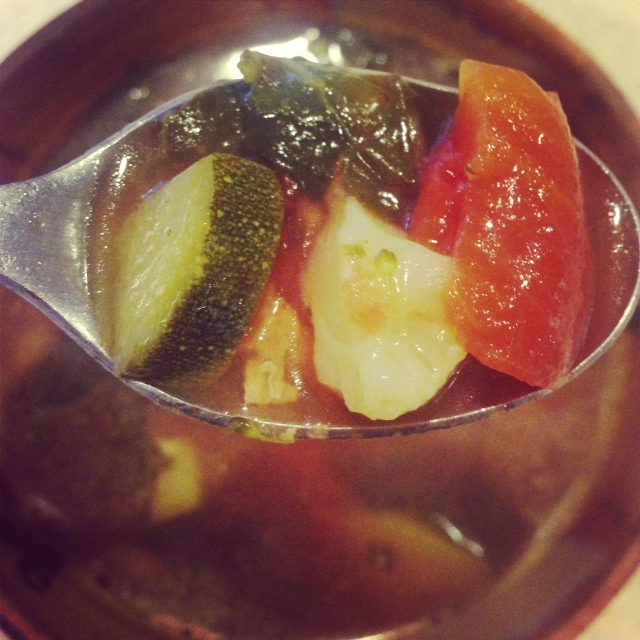 Are there only a few soup-approved veggies? NO! People just like their carbs. 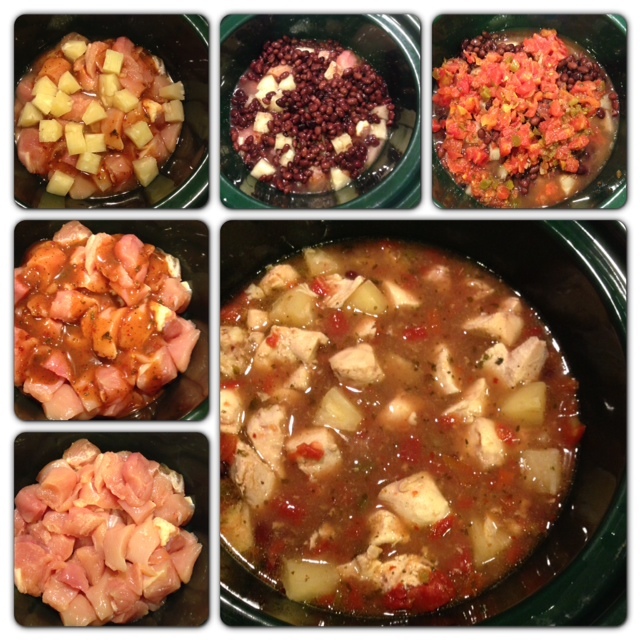 A high-carb meal is a high-calorie meal, so i decided to make a low-carb soup that would entertain my tastebuds without costing me a few miles of cardio to burn off. This soup is perfect for those nights I had a post-workout shake and don’t need a lot of calories, but still want a hot meal when I get home for the gym. 59 Calories per Hearty Cup! 31 Days of Motivation: What’s Your Body’s Balance? Have you ever looked at your checking account and been surprised to see the balance was lower than you expected it to be. I think we’ve all been there before. At first you think, “there’s no way I spent that much money”. Then, as you look further, you begin to uncover all the small stuff that created the big problem. It’s funny how the little stuff adds up so quickly, and the same applies to our diet. It’s all the extras that can get us in trouble. Condiments, salad dressings, snacks, cream and sugar – they all add a lot of extra calories to our diet. Unfortunately most people have no idea how many calories they are taking in. Dieting is all about checks and balances. The only difference is, most of us don’t ‘balance’ our diet account to see where we stand. That habit would never fly when it comes to our money. Most of us can’t afford to just keep writing checks without reconciling our account. The truth is we really can’t afford to ignore how much we eat either. Eventually it will catch up with you. We can fool ourselves into thinking we don’t have to count calories, but just because we don’t count them doesn’t mean that the calories aren’t there. The only difference is no one is there to cut you off once you’ve gone ‘over the limit’ like the bank does when you are in the red. 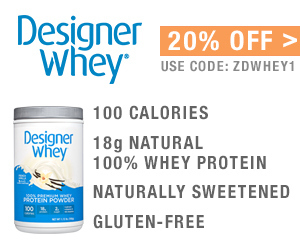 Managing calories is like writing a budget. It takes a little time in the beginning, but as you begin to journal your food, you quickly learn what you can and cannot afford to eat. The good news is, unlike managing your bank account, you don’t have to do it forever. Part of the initial discipline is just a learning process. You may be a good steward of you money, but are you a good steward over your body? 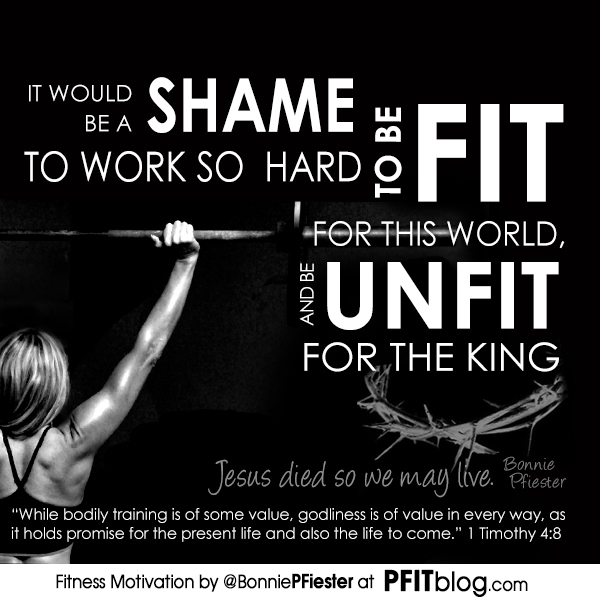 Your body is the most valuable asset you have. Maybe it’s time to do some checks and balances with your health this year. If you can balance your bank account, you can balance your body account. Our weight is the result of caloric checks and balances. It takes a little time, discipline and mathematics, but the reward outweighs the work. Comment below and I’ll add your question to my list for upcoming articles for Answers.com. Are You Really Exercising? Ask Your Heart! There is a fine line between exercise and increased activity. Someone can walk everyday and still not exercise enough to help them lose weight. Although increasing activity can improve your health, it is not as effective when it comes to weight loss. What is the difference between exercise and activity? A good example for activity would be walking your dog or a taking a morning stroll. Exercise is typically more structured and purposeful. Good examples would be a power walk, jog or aerobics class. For most people, your heart rate is probably the best indicator of aerobic exercise and caloric expenditure. 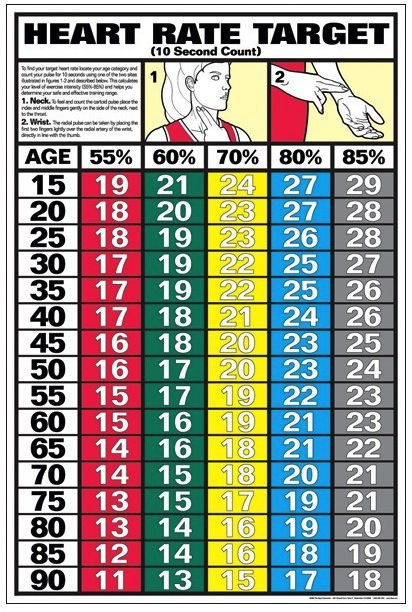 In order to find out where you should exercise you need to figure out your maximum heart rate, which according to the American Heart Association is 220 minus your age. Then, multiply that number by 65% for a low intensity workout or 85% for a higher intensity workout. Tracking your heart rate can be pretty easy when using a treadmill. Most treadmills have a chart on the machine to tell you where you need to be, but what if you are out walking in your neighborhood? 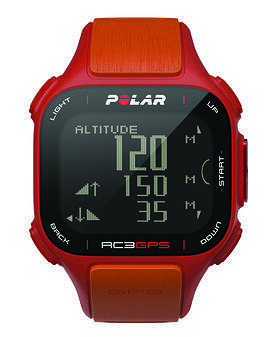 You can either buy a heart rate monitor (like this Polar RC3 heart rate monitor Steve uses), or you can get an estimate by counting your heart beat within a ten second span and multiplying it by six. For example, the same thirty year old would need to maintain a heart rate of 21 beats over a ten second span for a low intensity workout. 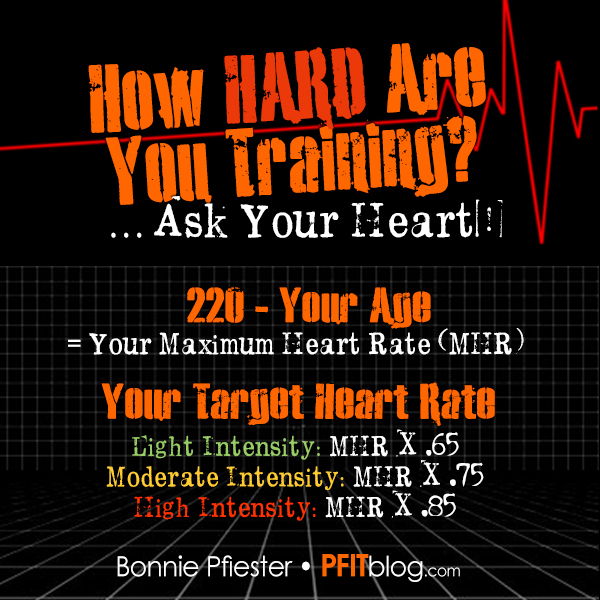 For a higher intensity workout, the ideal heart rate would be 27 beats. Of course it is not as accurate as a heart rate monitor but it can give you an idea of where you are. Although heart rate is normally the best indication of caloric expenditure, there are some exceptions. Some people’s resting heart rate can be slower than normal, a condition called Bradycardia, or it can be faster than normal, called Tachycardia. However, for the general population, the heart rate is the best way to monitor aerobic exercise and calories burned. So, if you are not sure if you are exercising at the right pace, just ask your heart. It will tell on you in a jiffy! Check out this handy dandy chart for a quick 10-second heart check! If I had a nickel for everyone struggling with their weight who responds with “I eat really healthy” when I ask them how many calories they eat. What that means is – they have no clue how many calories they are eating. But they want me to know how clean they eat and how hard they work in the gym, so they can try to convince me they are the exception to the rule and that they are just unable to lose weight like everyone else. This is when the Red Flag Goes Up. When it comes to weight loss, most people can’t get results just on making healthier choices alone. The only way weight loss works is when you eat fewer calories than you are burning. 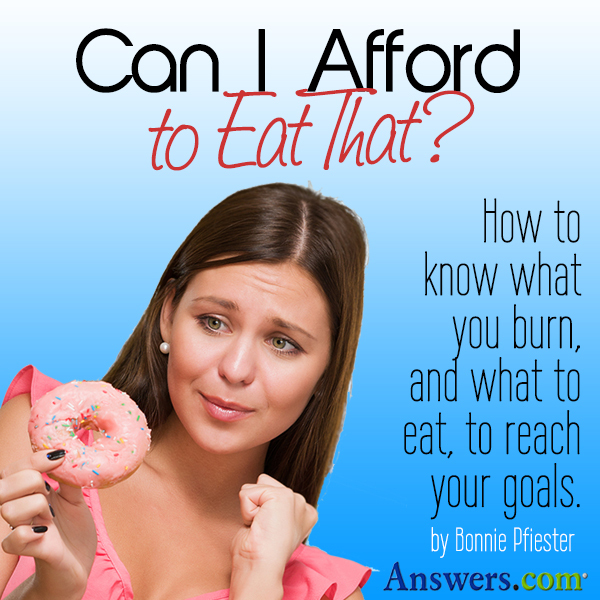 You can either just HOPE you are eating less than you are burning, or you can count calories and KNOW you are eating less than you are burning. If you can’t tell me how many calories you are eating every day, don’t tell me how healthy you eat, don’t tell me you never eat fried food or sweets, don’t tell me how much protein you consume, don’t tell me how you don’t eat carbs or how you’ve gone Paleo. While all of those things are great, and I bet your next doctor’s visit will be a good one, they tell me nothing when it comes to whether you should expect to lose weight or not. You see, Steve doesn’t care what I bought, he wants to know how much I bought ($$$$). He doesn’t care how how much stuff was on sale. Our check will bounce whether it was a smart choice or a dumb one. We either have the money or we don’t – whether I needed the items or not. All my bank account cares about is what’s coming in and what’s going out – it doesn’t care what I am spending the money on or how hard I work for the deposits. This is how your body works. While healthy food will help your body look and feel better, your weight is your body’s account balance. You can either afford items, or not. If you can’t afford the extra calories (whether it’s in Snickers bars or grilled chicken and rice), you will gain weight. Not everyone needs to count calories. Some people are lucky enough to be able to make smart choices (because they really enjoy eating low-calorie foods) and do well managing their weight naturally. Some people are able to make healthier choices simply because they don’t struggle with some of the temptations others struggle with. HOWEVER, if you battle overeating, binging, sweets, carbs, laziness or yo-yo dieting, I believe you should count your calories to help you stay accountable and manage portions, high-calorie items and exercise. Remember, it’s not something you have to do forever – but it will teach you SO much! If you have tried eating better, eating smaller portions, working out more, etc but you’ve reached a plateau, maybe it’s time you start counting calories. You’ll be AMAZED with the results! Believe me, I’ve seen this time and time again – and I’ve watched people who have worked insanely hard not get results until they started counting calories. Are you ready to start moving that scale?! Commit to counting calories for 30 days. Unsure you can do it? 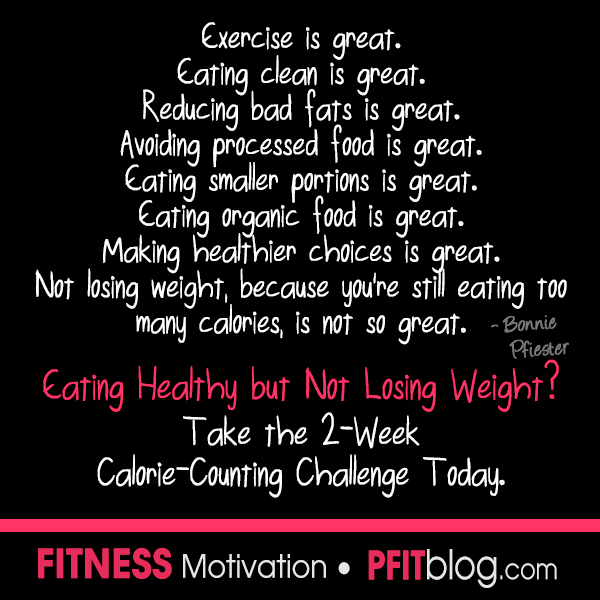 Start with 14 days of calorie counting and then decide if you can do another 14 days then. I bet you surprise yourself! Visit www.LoseIt.com today and download their app on your smartphone. I promise, it can change your life forever. Many of you know Sundays are food prep days at the Pfiesters. I love to cook! I also love to eat! But, since I don’t LOVE to workout, that means I need manage what I eat very closely so I don’t have to workout any more than I have to! ha! If I want to eat healthy, I have to plan well. That starts with shopping and ends with food prep, including measuring everything out and tallying calories so I know exactly how much I can have without packing on the pounds. This is probably the last week of fun cooking for the Pfiesters. After this week, we’ll be cooking even cleaner, plainer and more strict as Steve prepares for his next bodybuilding show. So, this is our last healthy hurrah. Yesterday, I posted everything I cooked on my facebook and people asked for more details – so here they are! First up is storage. When I tell people what I cook for the week, often times people’s first response is “won’t it go bad?” If you don’t have a husband that eats your weight in meat, then you may want to divide your cook days up, freeze some of it, or trim down the food prep a bit. Below are some recommended storage times from Food Safety so you can determine how much you should cook at once. Ok, say this with me: “If you fail to plan, then plan to fail”. I know, I say this all the time, but it’s SO TRUE! 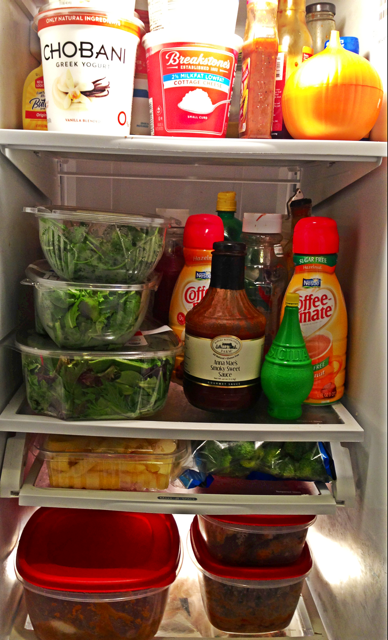 If I want to eat healthy during the week, I have to shop and cook healthy on the weekend. Here’s what I prepared, along with what I plan to serve it with. You’ll notice we eat most of our higher carb meals during the day, when we need the most energy, and save our meat and green veggie meals for dinner since you don’t need a lot of carbs to sleep. One round of turkey done. Now it was time for the second round. While I had the chicken marinading and the grill heating up, I diced up the onion and threw it in the pan with a little olive oil. While the onion was cooking, I put rice and water in my steamer and the quinoa on the stove. Once the onion was sautéed to my liking, I added the ground turkey and put the chicken on the grill. Then I threw a bag of sweet potatoes in a big pot to boil while I finished the turkey up. By the time the turkey and chicken were done, so was the quinoa. 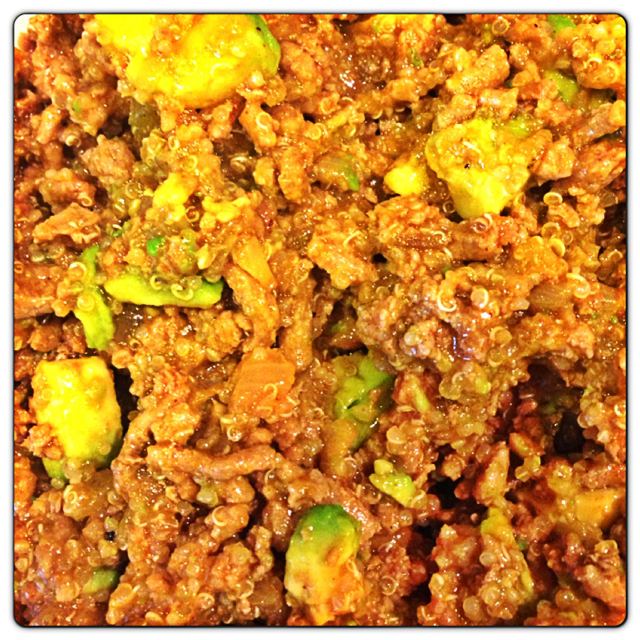 I then added the quinoa, and the rest of the ingredients, to the ground turkey and put everything in containers. By this time I had the taco meat, Turkey Joes, grilled chicken, rice and quinoa all done. All I had left is the sweet potato and fish. I slapped the tilapia on my grilling pan with some lime juice, olive oil and seasonings and left it on the grill while I cleaned up the kitchen and finished boiling the potatoes. Finally, Steve cooked the salmon while I mixed the sweet potatoes together and my work was done! Later that night the Caribbean chicken was done and ready for storage too. Time for bed! First, I need to tell ya – I love to cook, but I’m not a chef. I just want to eat health AND enjoy my food. I am a very creative cook who rarely follows a recipe. I make stuff up as I go along and enjoy the creation process (which admittedly makes it hard for me to share what I make because I’m adding a dash of this and that as I go). I’m working to improve that! I cook as simply as possible to limit ingredients and calories. I LOVE seasonings and I love trying new things. I also know if I make something taste TOO good, we have a hard time eating the correct portion. So, I try to cook smart and I avoid cooking my favorite dishes too often. My goal is to cook food for fuel and not just always for entertainment. Here is what I cooked yesterday. This is a 1st-time creation and Steve LOVED it! Steve liked to add avocado to his meals to add quality fat for energy. This is great served over 1/2 a baked regular OR sweet potato! Made approximately 7 Cups, 14 1/2 cups servings. 206 calories, 22g protein, 19 carbs, 5gm fat. Makes great taco salads, burritos, low-carb tacos and toppings for a Mexican baked potato with light sour cream. YUM! Always a staple in our house! 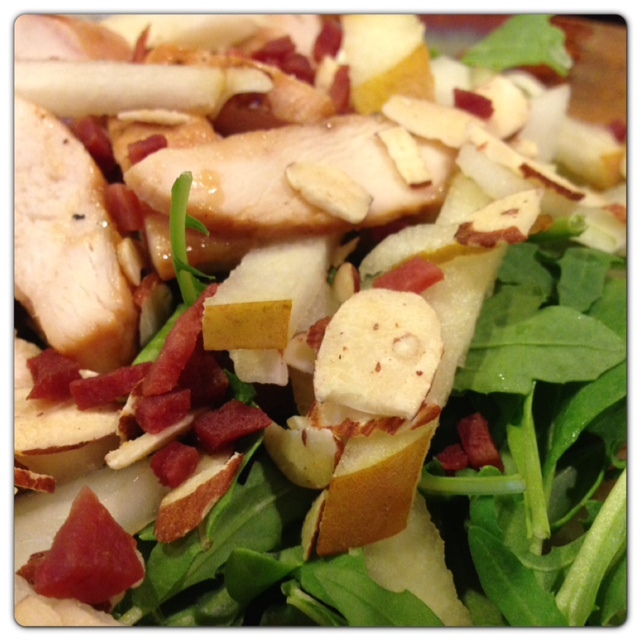 Last night I put a breast over a bed of arugula with slivered pear, onion, turkey bacon bits and honey roasted sliced almonds with plain balsamic vinegar on top. Serve over your preference of rice or quinoa. 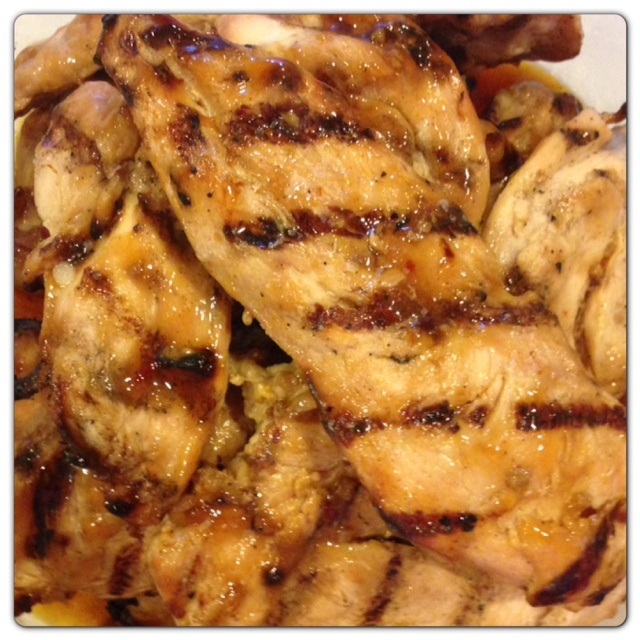 This is Steve’s preferred carbohydrate source – especially before his workouts. We purposely add nuts to add healthy fat to slow digestion so that it lasts longer (stays with you longer, which helps you feel fuller longer and give you a longer lasting energy). This is NOT going to be like the high-calorie ooey gooey pie grandma makes. It tastes great, and is much tastier than just a plain sweet potato, but this recipe is about making a yummy fuel source that is easy, tasty & healthy. Note: I determine serving size based on # of potatoes used. I don’t want to eat the equivalent of 1 potato, but prefer portions to be 1/2-3/4 a potato. When I was young, my mom and dad played in a band. As a result, they were asked to write jingles for various companies. One of the most memorable jingles was for a national Dunkin’ Donuts ad campaign. I remember walking through the mall, before the satellite radio days, and hearing my dad sing “when I wake up in the morning, and my tummy says ooo! …dip it in your coffee” over the mall speakers. Even back in the 70s, Dunkin Donuts was known for its coffee – and as coffee shop menus keep growing, so does our waistline. Unfortunately, it’s easy for coffee lovers to rack up hidden calories – especially at coffee shops. Of course, coffee alone is not the culprit. It’s all the extras that can ruin a diet. We add a little cream, a dash of flavor, a couple of packets of sweetener and some whipped cream – and before you know it, our harmless coffee is now a lethal fat-making weapon. Let’s look at Duncan Donuts for a moment. A standard black coffee is only 5 calories, so it’s difficult to comprehend how we can doctor it up so much that our 5 calorie coffee can end up being 120 calories when we are done with it – and that doesn’t include the extra syrups, whip cream and all that fancy shmancy coffee-house jazz. The fact is, when you trade your standard coffee for a flavored latte, you trade your drink for as many calories as a meal. If you are like me, you’d rather learn to drink smart and eat more! 1. Use flavored coffee. Trade high-calorie flavored syrups and creamers for delicious flavored gourmet coffee. 2. Cut the cream. If you can’t do without cream, cut it with skim or whole milk to save calories. 3. Lighten Up. It’s difficult for a person who likes a little coffee with their cream, to become a person who drinks coffee black. However, if you slowly wean yourself of heavy creamer, your taste buds will have time to adjust. 4. Make it mild. Stronger coffees require more cream to soften the intensity of the bitter flavor. If you go a little more mild, you may be able to go mild on your creamer too. 5. Pick only one – coffee or coffee cake. It’s hard to pass up the muffins and coffee cakes when you order your starbucks, but the reality is – that coffee you are ordering IS your treat. Don’t double your mistake by ordering two high-calorie treats. 6. Go small. Many times we order a large coffee just because it’s only a few cents more. Then we find ourselves gulping down the last few cold sips just because we don’t want to waste what’s left. Order small coffees for a small waistline. 7. Skip it. I don’t know about you, but meeting a friend at a coffee shop is the go-to thing to do. Half the time I really don’t even want a coffee. Yet, you bet your socks I’ll order one – just because. The last time I was tempted, I ended up ordering an unsweetened tea instead. It was refreshing and yummy and I didn’t leave with regret and the need to do 3 extra miles of cardio to erase one drink. 8. Limit the high-calorie treats to once a week. Just because it has coffee in it, doesn’t mean you should have it every day like your daily morning coffee. Treat fancy frappuccinos as if it’s actually a treat. Fancy coffees can have as much calories in an ice cream – and if you are dieting, you shouldn’t have ice cream every day either. One of the things I like to do is share my stupid mistakes so YOU don’t REPEAT THEM! Yep, I am not afraid to tell you just how bad I blew it. I may be a fitness professional, and although I know a lot about nutrition, calories and weight management, I still make poor choices from time to time. The only reason I am not as big as a cow is because 1.) 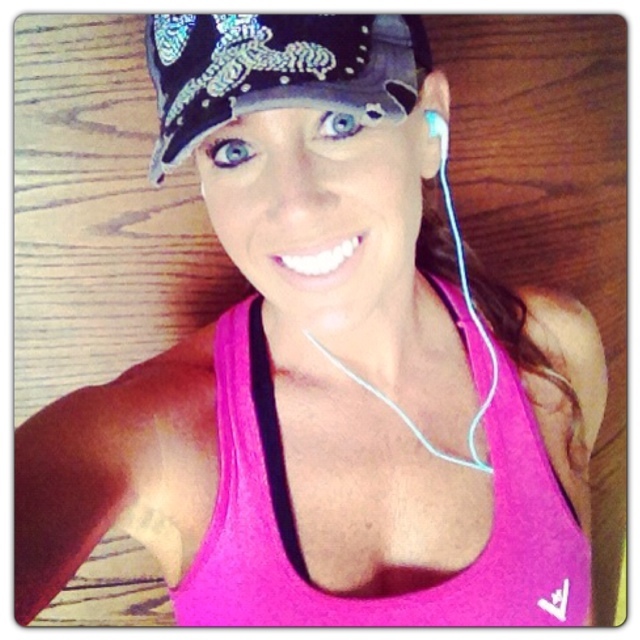 I look for mistakes (meaning, I hold myself accountable, I look up calories and I look for the truth (facts). 2.) 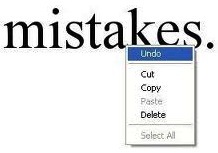 I work my mistakes off. 3.) I learn from my mistakes. 4.) 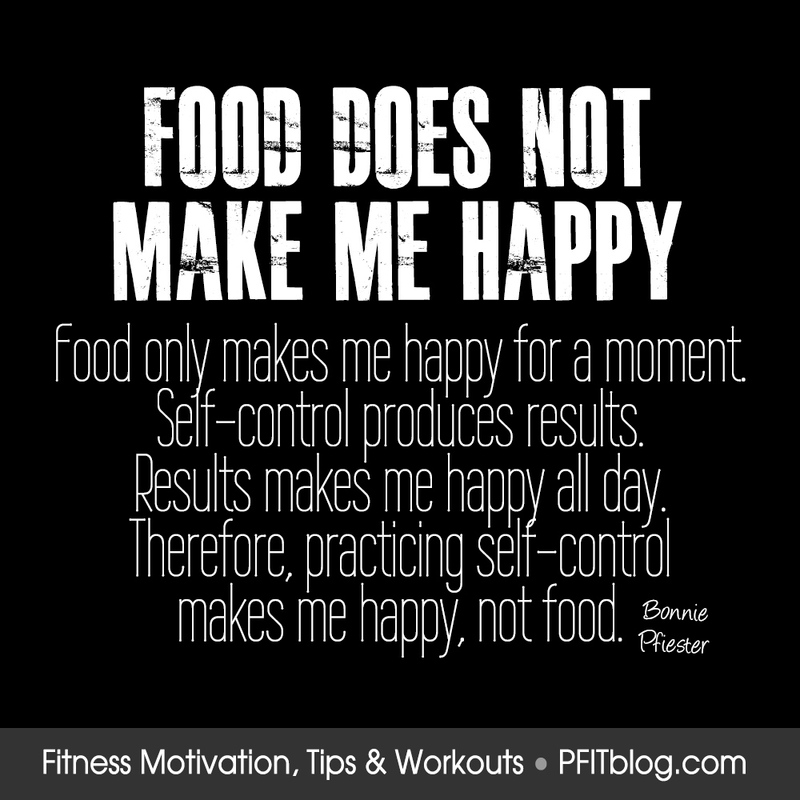 I apply what I learn (a lot of people learn a lot about improving their eating, but they don’t apply it). 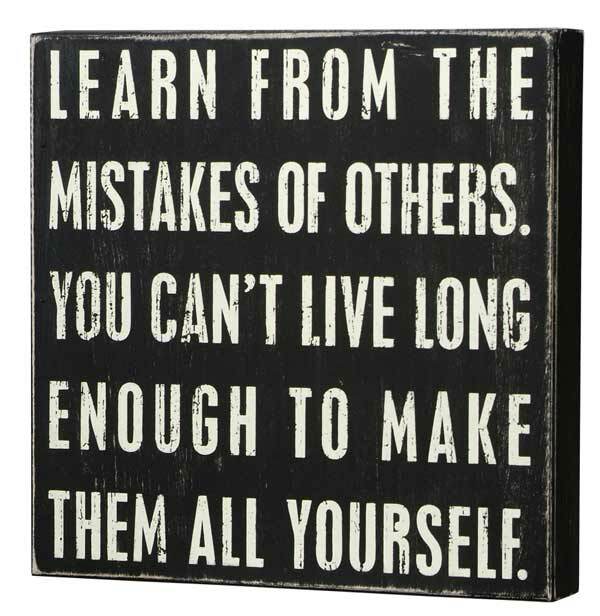 The difference between my mistakes and other people making mistakes is I make them less often. Where I may totally blow it occasionally, some people are blowing it every week, or every other day. 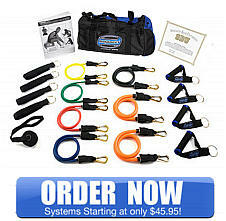 Those mistakes add up if going unnoticed, and that is when weight gain happens – or why people can’t lose weight despite all their work in the gym. So, here’s the story. 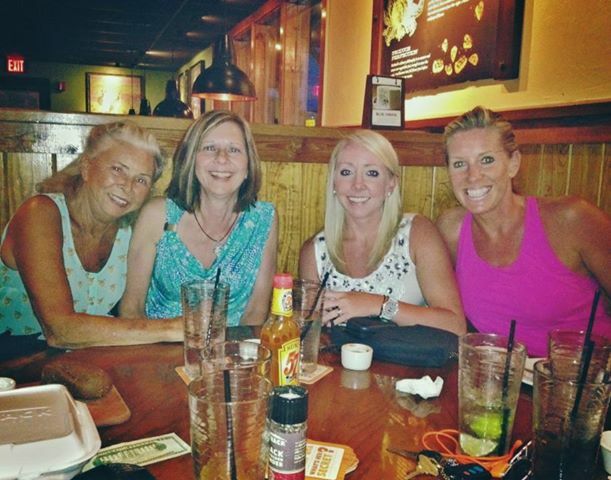 I had family in town last night so we all decided to go to Outback for dinner. I’m not dieting right now so I was already going in knowing I was going to treat myself – which means I plan on having that yummy salad they have and a baked potato instead of broccoli. Let me stop right here and tell you this: If I had looked up the calories ahead of time (like I tell EEEEEVERYONE else), I would have not chosen what I ordered. The damage way exceeded what I would have allowed myself if I had known in advance. Mistake #1: I didn’t look up the calories BEFORE I ordered. As I’m looking at the menu, I had pretty much settled on getting just a small steak, baked potato and side salad. BUT, Steve (yes, I’m throwing him right under that big blame bus) said, “why don’t you get the Outback 4 Special, the 4-course meal for $15?“. Well, I almost felt stupid if I DIDN’T get that. What a deal right? WRONG! 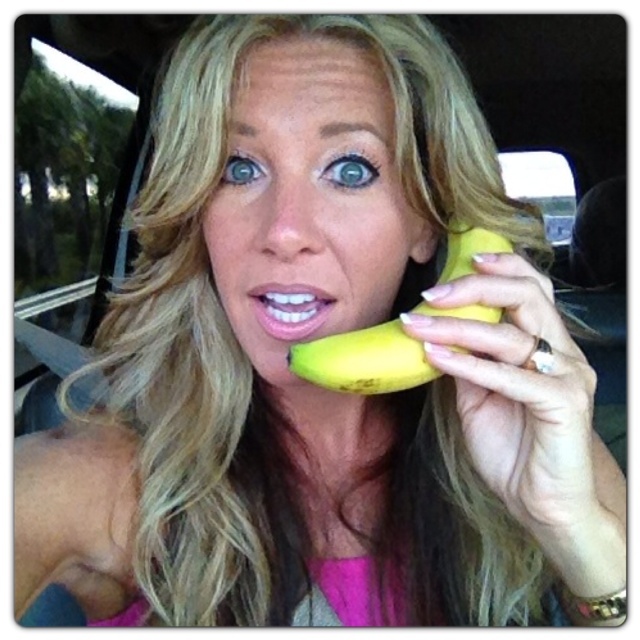 It was a baaaaad deal – and I have news for you! It cost WAY more than $15. It cost me $15 to eat it and it’s going to cost me plenty more in valuable time to burn it off! Mistake #2: I let someone or something (tempting menu item or deals) to change my mind! So here’s what I ended up eating. NOTE: I never, NEVER, NEEEVER get dessert, BUT it came with the “package”. Thank you Outback for trying to fatten me up. You not only Biggie Sized my meal, you Biggie Sized ME! Yes, I have a choice and could have chosen better, but your “good deal” sucked me in and I took the ugly bate. Yep, you caught me, hook line, and sinker! Mistake #3: By eating less, I talked myself into thinking I was doing OK.
TOTAL DAMAGE: 1,084 CALORIES – STILL AWFUL!! Mistake #4: I ordered something I really loved – and took it home. Really? That doesn’t belong in my house. That’s what I call “planning to fail”. Why didn’t I just let everyone at the table taste it. Why? Because I freakin’ LOVE carrot cake. Listen, if I had been amazing with my diet lately, this whole catastrophe wouldn’t have mattered – but I haven’t been good with my diet. I’ve been “off” my diet for several weeks and this week was supposed to mark my start of getting my act together after my vacations and being sick. So, this mistake set me back a few MORE days. In the big scheme of things, it really is not that big of a deal IF it only happens occasionally, but this is a perfect example of how many people are “try” to make good choices – and they wonder why they can’t lose weight. Even after ALL THAT, they STILL are eating WAY too many calories. Next time you eat out, think of me, sitting at the computer the next morning, looking up calories from the night before and tallying the damage. Even though the food was good, I can honestly say it wasn’t worth what it will take to work it off. I see a lot of exercise in my future.